Lil Wayne was released from jail in New York City on Thursday after serving 8 months of a one-year sentence on gun charges. The rapper was discharged at 8:35AM on Thursday morning and president of Young Money and Lil Wayne’s childhood friend Mack Maine confirmed that a major bash in his honor will go down this Sunday in Miami. The 28-year-old Lil Wayne was transferred from Rikers Island jail to an undisclosed location where he was released, a spokesman for New York City Department of Correction said. While in jail, the rapper released “I Am Not a Human Being,” which last month topped the Billboard 200 chart. His album “Tha Carter III” was the biggest-selling U.S. release of 2008 and won him four Grammy Awards in 2009. 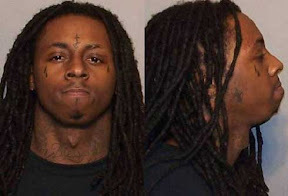 Lil Wayne, whose real name is Dwayne Carter and who also goes by the moniker “Weezy,” pleaded guilty to attempted criminal possession of a weapon after a plea agreement in which Carter gave up his right to appeal over a case in which a gun was found in his tour bus in July 2007.